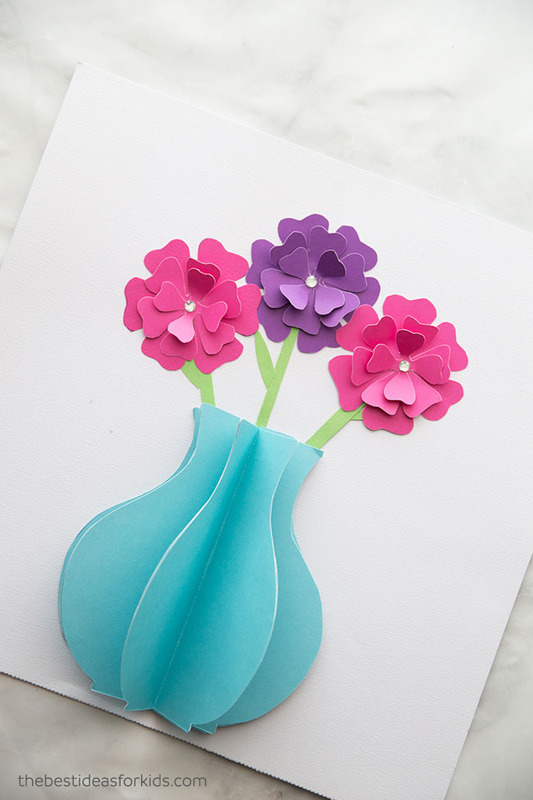 Create your own 3D paper flower craft with our free printable template. These flowers are really easy to make! You can design your own flowers using this same method too. Add these flowers to cards, gift boxes or just make them to enjoy around your home. 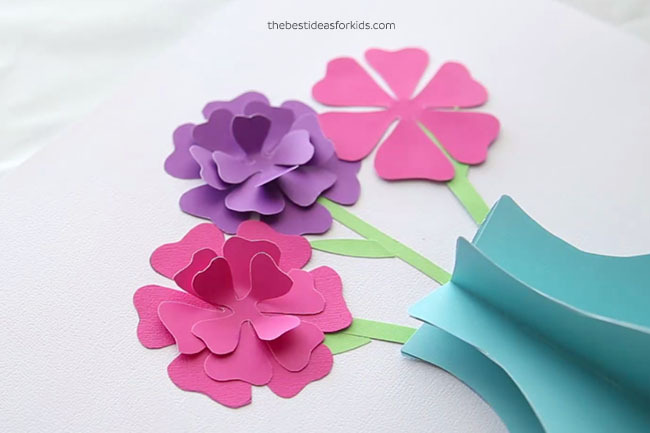 This paper flower craft is really easy to put together. We love the way the 3D vase looks! You could make this on a canvas and hang it on the wall too. Kids will especially love making their own flowers and vase to give for Mother’s day or as a gift for a birthday. 1. First print off the templates. 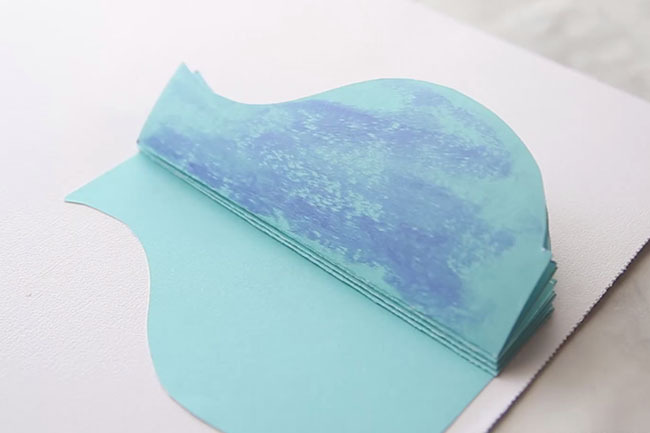 You can get the template emailed to you as a free gift by signing up to our newsletter on the form with the preview of the paper flower template. You can also create your own templates and use that to trace around to make identical versions. 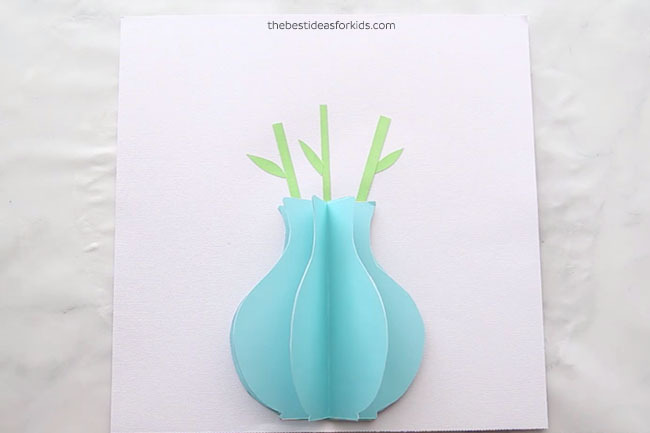 If you’re rather create tulip flowers, grab our free printable tulip flower template here. 2. 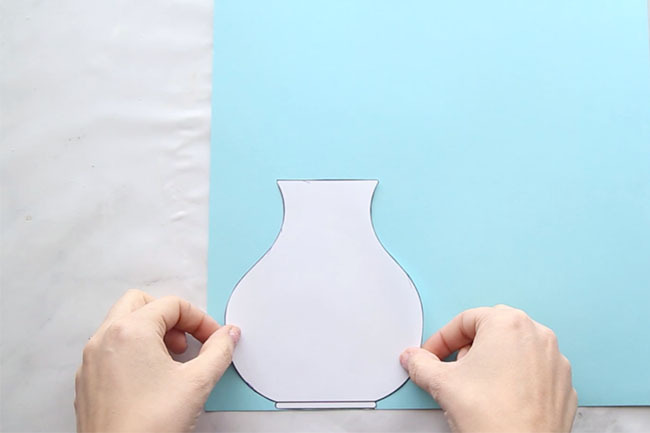 Cut out the vase and trace around cardstock paper. Make 6 vases. 3. 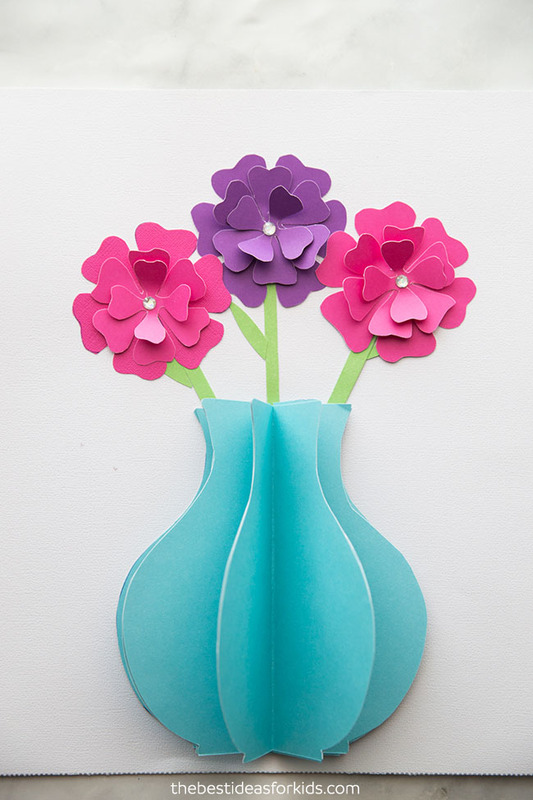 Fold the paper vases in half and glue them together. 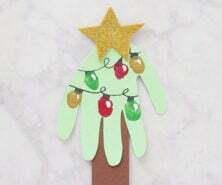 Then glue down to a piece of white cardstock. 4. Now cut out some flower stems and leaves and glue to the white cardstock above the vase. 5. Cut out three flowers of each flower template size. Glue down the largest flower first. 6. Add the remaining flower templates on top. 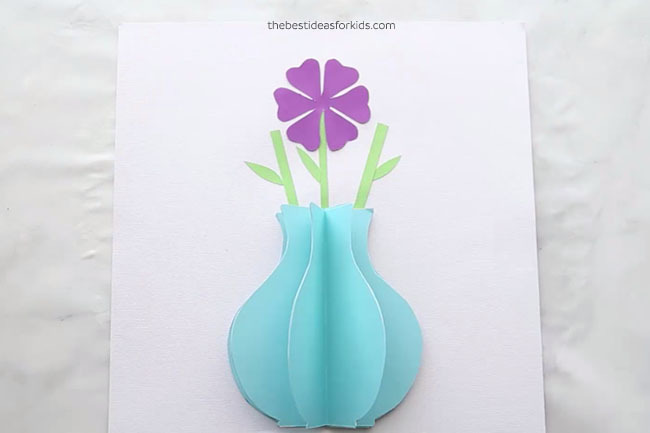 Glue these ones in the center only so you can pull up the petals so they pop off the page. 7. Glue a small clear rhinestone sticker in the center of the flowers. 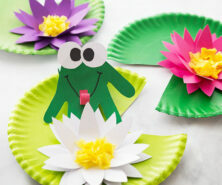 We love how easy this paper flower craft is to make! This would make a beautiful Mother’s day gift – or even just to make to hang up in your home! 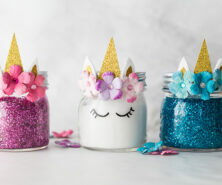 If you like this craft, see 25+ more Mother’s day ideas for our favorite Mother’s day crafts for kids. 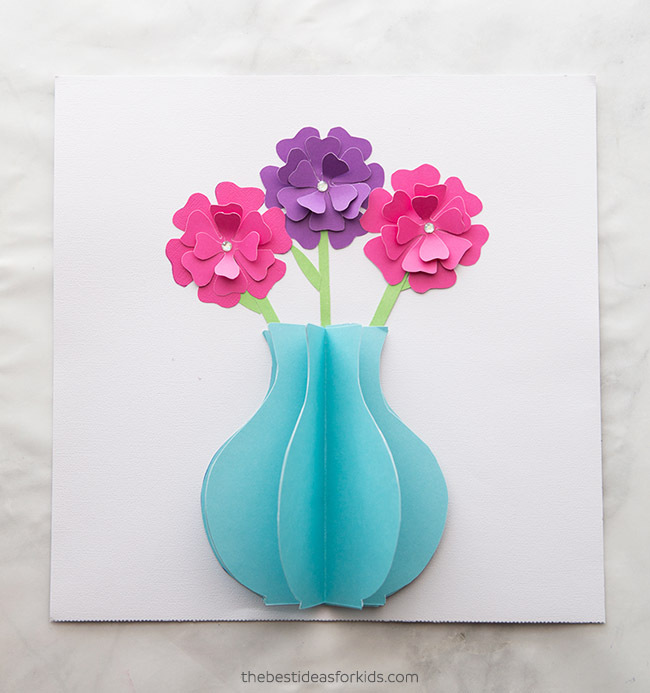 Sign up for our Newsletter and get this paper flower craft template as a thank you!